Some of the abducted Dapchi schoolgirls who regained freedom from Boko Haram terrorists on March 21, 2018. There was jubilation in Dapchi town in Yobe State on Wednesday as Boko Haram freed most of the girls it abducted from the Government Science and Technical College in the town. Unfortunately, at least two of the girls are reported to have died as a result of the trauma while one of them was not released. One of the girls told Channels Television in an interview on Wednesday, hours after their release arrival that they were not maltreated throughout the period in captivity. However, details of the girls’ return are still sketchy while the exact number of those that returned have yet to be ascertained. Members of the outlawed group had stormed the Government Girls Science Technical College (GGSTC), Dapchi, on February 19 and abducted many students from the school. 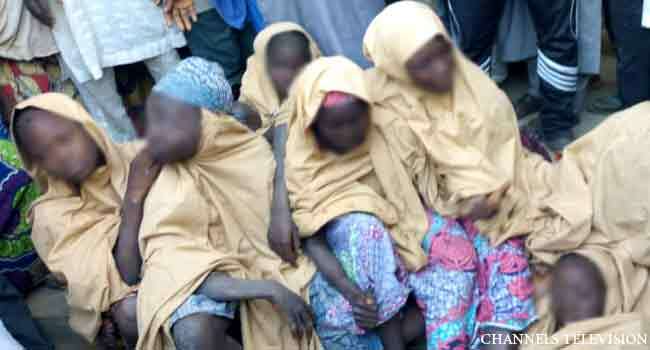 The Federal Government had consequently declared that 110 students were unaccounted for after the school was invaded. It had also increased security presence in schools across the state in a bid to prevent a reoccurrence of such incident. 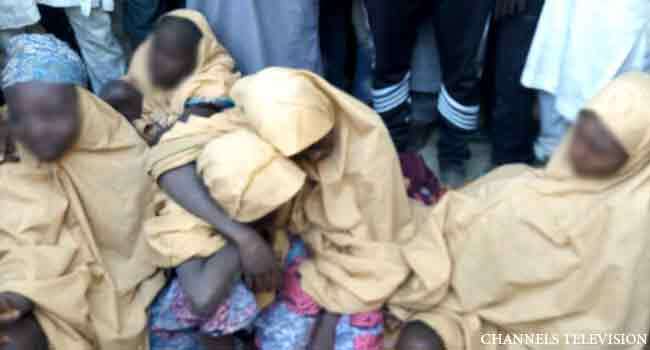 Amid calls for the girls’ return, President Muhammadu Buhari paid a condolence visit to Yobe State and sympathised with the families of those whose children were abducted by the insurgents. He told the parents of the students that his administration would not rest until all the Chibok and Dapchi schoolgirls in the Boko Haram custody were released and reunited with their families. In another meeting with Mr Rex Tillerson, the U.S. Secretary of State who was sacked recently, President Buhari explained why the government had “chosen negotiation” to secure the return of the girls rather than use military force. “We are trying to be careful. It is better to get our daughters back alive,” he had said. Meanwhile, the Minister of Defence, Mansur Dan-Ali, had also given a hint that troops were already closing in on the girls and their abductors. “It can be earlier; maybe a week, it can be two weeks, but we are on it, and I’m telling you with all sense of sincerity that we are closing in on them,” Dan-Ali said during an interview on Dateline Abuja, a Channels Television’s programme which aired on Saturday last week.